When you hand over your pride and joy for someone to work on immediately you are forced to trust the person on their word and experience. We try to make this a little easier by offering a Lifetime Warranty on all work completed on your vehicle or boat. This warranty is supported by the CAR AUDIO MASTERS network of over eighty dealers nationally. If something does go amiss, search for a nearby CAM dealer and they will be happy to help. So if you want a new CD or DVD player, a set of new speakers or a complete system tailored for you and your vehicle, let us show you how. We have trade qualified electricians to support our installation team. This allows us to fulfill the requirements of our work without the need for you to employ another tradesman, simplifying the scope of works. We can supply and install Air Conditioning, lighting, power points, Kitchen Appliances (ovens, cooktops etc) and also handle electrical repairs. 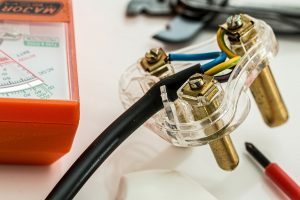 If you are building a new home and would like the ease of dealing with one company for your electrical, lighting, appliances TV and Audio requirements please give us a call. We will sit with you and plan your new home so the end result is exactly what you expect and deserve. We also service many of the commercial dwellings in the area including clubs, pubs and schools with their electrical and audio requirements. Our home installation service covers a variety of different areas. We offer an antenna/satellite service to diagnose any problems you may have with signal quality, installation of new TV points or a complete, new TV or Satellite system. 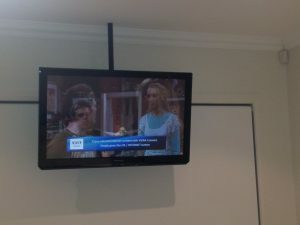 We install LED TVs on walls, hang from ceilings or even just on a cabinet. We can supply and install an audio system throughout your home or a home theatre system. 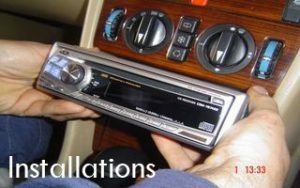 If you have an audio system already and you need it installed, we can help. Networking your home with wired or wireless products is also part of our expertise, ensuring your network is running as efficiently as possible. We service a large area from the Central Coast to Taree to Denman. We will go anywhere! All installations are supported with warranty and technical support so you can rest at ease knowing that when you forget how to use your brand new system (everybody does) we are only a phone call away.